Organize the list in any order with one click. Create views for one or many trading accounts. Circle (take firm) an item. 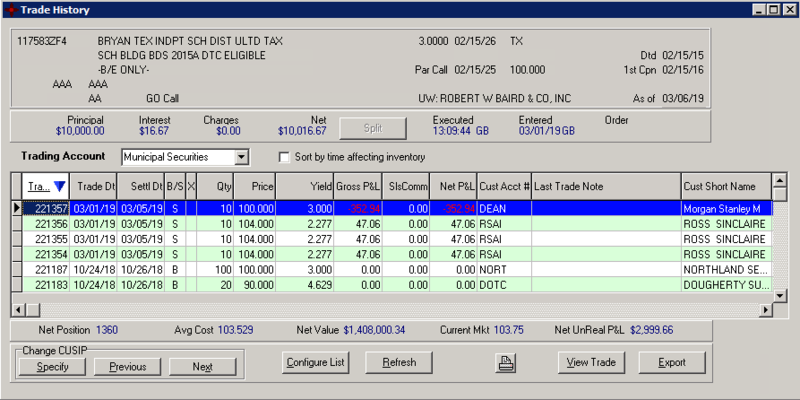 View your trade and offering history for any bond instantly. See your P&L both realized and unrealized. Automatically re-price offerings for new settlement date. See final numbers before saving a trade. 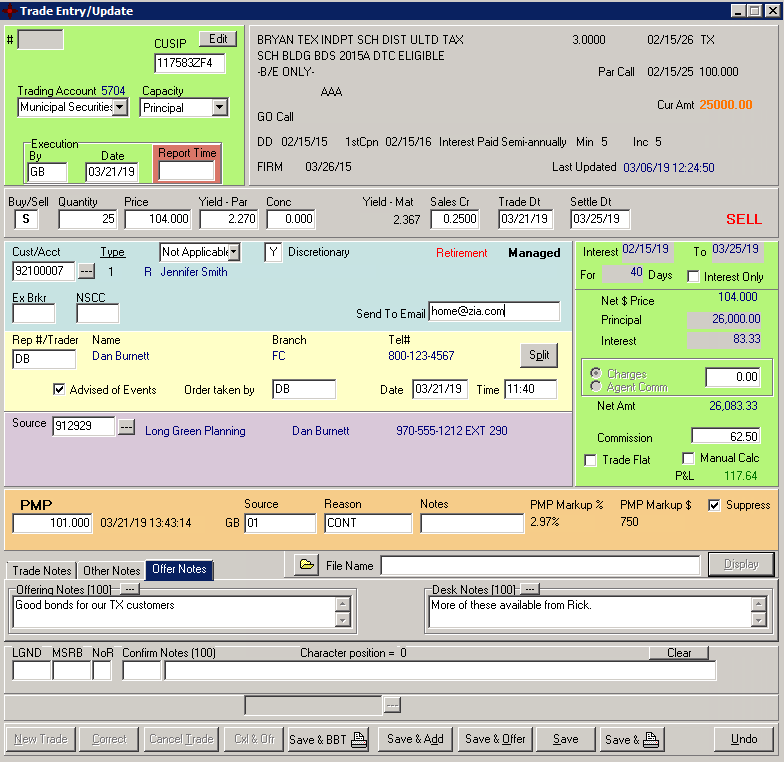 Create Trade, Operations and Commission notes. See excess P&L and PMP values and warnings. 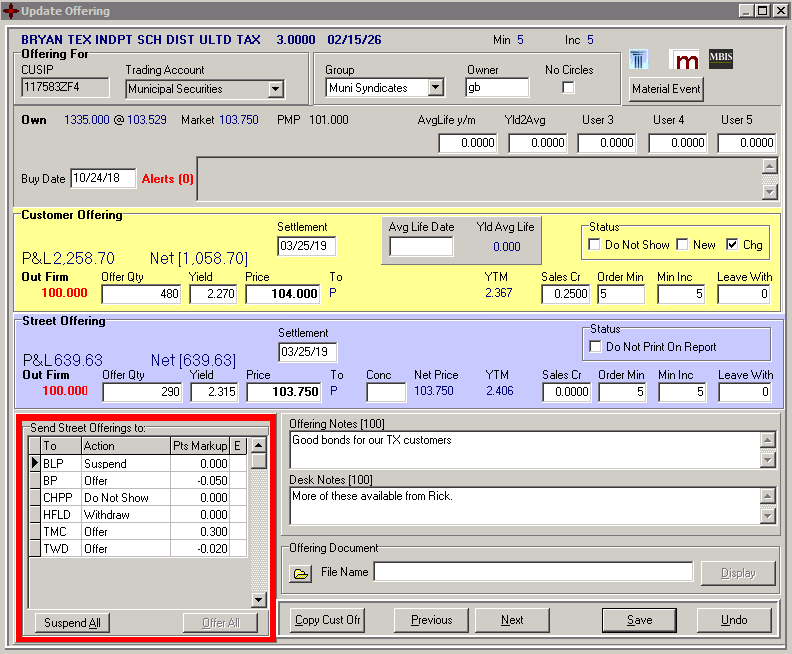 Create block trades for later allocation to accounts. Offerings for both Customer (Sales) and the Street. Publish offerings to multiple ATSs and platforms and receive executions. 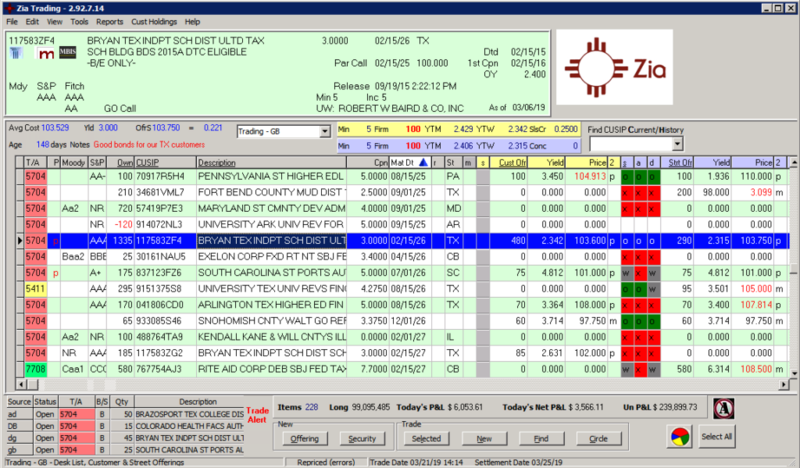 Live blotter lets you monitor trades as they occur. See all time stamps… order, approved and transmitted to back office. See trade history for any item you’ve ever traded.